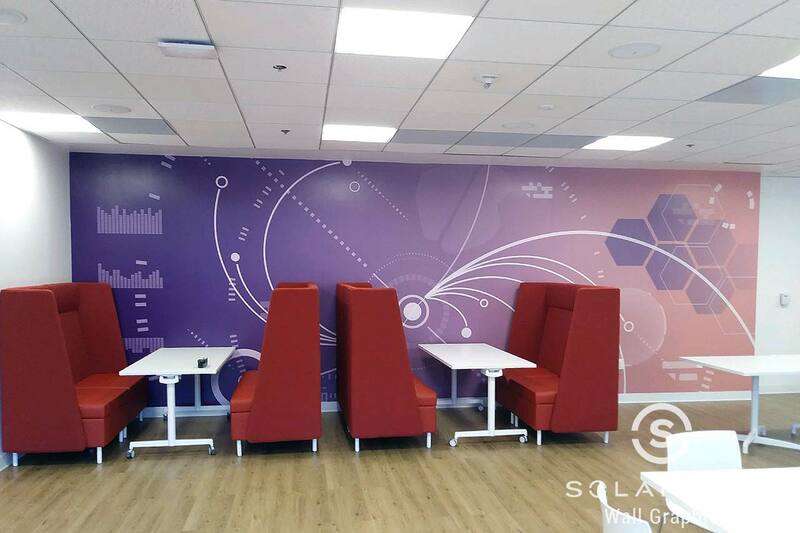 We installed custom printed graphics in San Francisco, California at a global software company, Sitecore. We installed both wall graphics and window graphics throughout the company. Wall graphics and window graphics are a simple and cost effective way to add decor or brand a business. The customer was looking for custom vinyl in their conference rooms, hiring rooms and lunch room. They wanted to create positive scenes that promote the company culture for their employees through the wall art. Putting your mission statement and your company values out there is a great way to be authentic and make not only your customers, but your employees feel like they are part of the company. 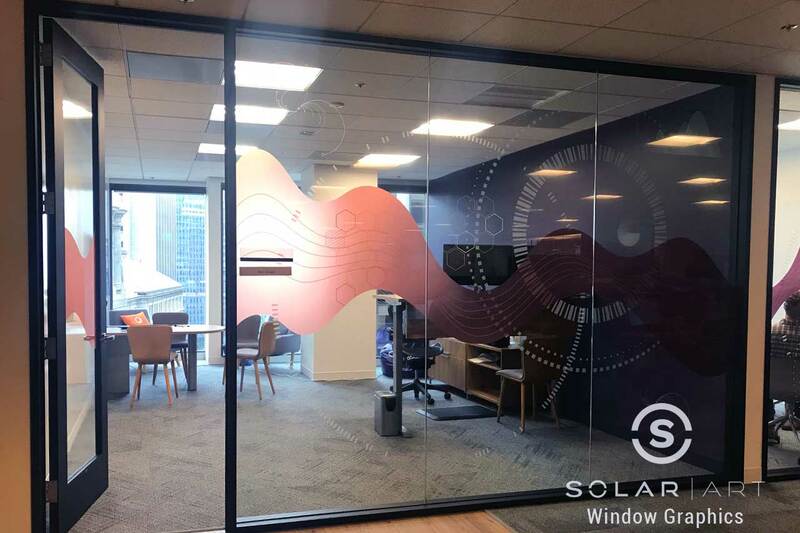 Sitecore also had window graphics installed to their private offices.They wanted to create privacy in the offices while still having the ability to see out. They also went with custom printed graphics as opposed to an opaque window film or frosted window film because they wanted a custom design piece. Whether it is installing lettering to brand a business, inspirational quotes, the company mission statement or a scene from a movie or play, wall murals and custom graphics give you the flexibility to design a space however you like. Removable wall decals and removable wall graphics, can easily be changed out for something else with no damage to the wall or glass. Solar Art has an in house graphics team that can work with you to create your vision from scratch, or if you already have an image or a logo, we can easily print it or cut it for whatever space you are looking for. Custom graphics work great not only for commercial spaces, but homes as well. Solar Art has installed dry erase film to not only conference rooms, but kitchens and home offices as well. We installed a custom wall mural of a golf course in a backyard in Orange County, California. Wall art can be installed to several surfaces including windows, walls, elevators and floors. We have installed custom murals to hotel floors, elevators and more. If you aren’t sure what you want just yet, don’t worry! Our graphics specialists can help you determine the correct material for what you are looking for and can help you every step of the way! Interested in Wall Graphics or Window Graphics? Window graphics and wall graphics are the perfect way to create a unique space. Display ads, images, designs and more with custom vinyl for windows and walls. Contact us to learn more!